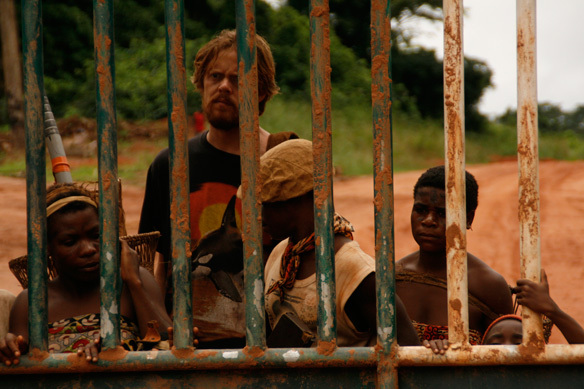 Kris Marshall as Larry Whitman with Mbombi as Makombe (the chief’s granddaughter), in OKA! Directed by Lavinia Currier. Photo credit: Olivia Bruynoghe / Roland Films. All rights reserved. 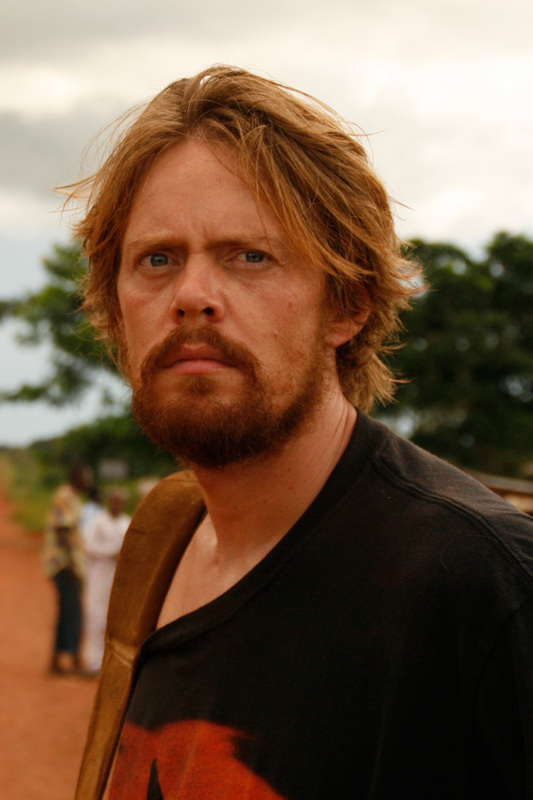 Ethnomusicologist Larry Whitman (KRIS MARSHALL) is from New Jersey, but his heart is with the Bayaka people of Yandombe, in the Central African Republic (CAR). Back in the United States on a fundraising trip for his village, his doctor (PETER RIEGERT) warns him that his failing liver will not withstand the dangers of life in the African forest. Undaunted, Larry is drawn back to his adopted people. This is his last chance to record the sound of the mysterious molimo, an instrument associated in the past with the elephant hunt, now thought to be extinct. But Larry knows that there is something more than music waiting for him. Even by African standards, the Central African forest and the Bayaka who inhabit it are considered remote and exotic. But times have changed since Larry's previous visit. The powerful local Bantu Mayor Bassoun (ISAACH DE BANKOLE) has welcomed a timber corporation to exploit the African rainforest for timber and exotic game. Bassoun calls the Bayaka his "little brothers," but he's also moved them from the interior of the rainforest to a small village on the outskirts, forbidding them to enter their sacred traditional land. This hasn't stopped tribal shaman Sataka (MAPUMBA) and his wife Ekadi (ESSANJE) from hunting and gathering -- in fact, it was Sataka's prayer that "called" Larry from America to return to the Bayaka. As Larry is welcomed by the Bayaka, who are eager to receive gifts from the outside world, he sees that they are increasingly marginalized and dependent on their Bantu bosses. Meanwhile, Bassoun welcomes Chinese businessman Mr. Yi (WILL YUN LEE), who is interested in tapping into the vast resources in the Bayaka's protected wilderness. Doing so will require that Bassoun prove the Bayaka are poachers: if he can gather evidence of them shooting elephants (forbidden by law), then perhaps the Bayaka could be disempowered even further, leaving the forest wide open for cutting. Although he is plagued by fever -- as well as attracted to Sataka's flirtatious teenage granddaughter Makombe (MBOMBI) -- Larry is driven to enter the rainforest alone, in search of Sataka. The tribe eventually abandons their village and follows him deep into the heart of the lush, wondrous, and dangerous landscape. An outraged Bassoun orders his men to follow him and bring the tribe back to the fringes of civilization. As the various forces converge, Larry learns the secret of the mysterious molimo, which duplicates the mating call of an elephant in order to lure the mighty animal into an ambush. Torn between his desire to protect the Bayaka from killing an elephant (making a critical error that will jeopardize their safety) and honoring their tradition, Larry confronts the mysterious inner and outer forces of nature that ultimately define his soul and help him be healed and find a home forever. 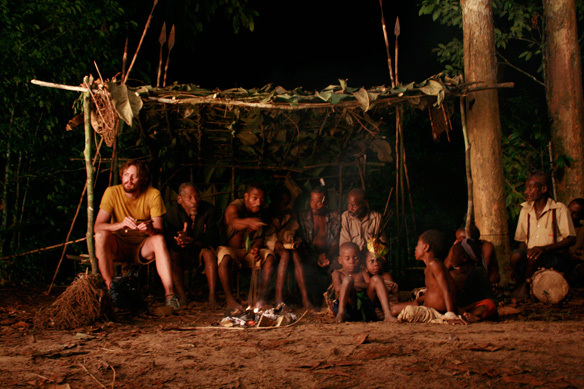 I wanted to make a film which celebrated a people who are perfectly adapted to their natural environment, and who, despite the extreme remoteness and dangers of their forest home in Central Africa, always find opportunities to express their humor, joyfulness and musical genius. 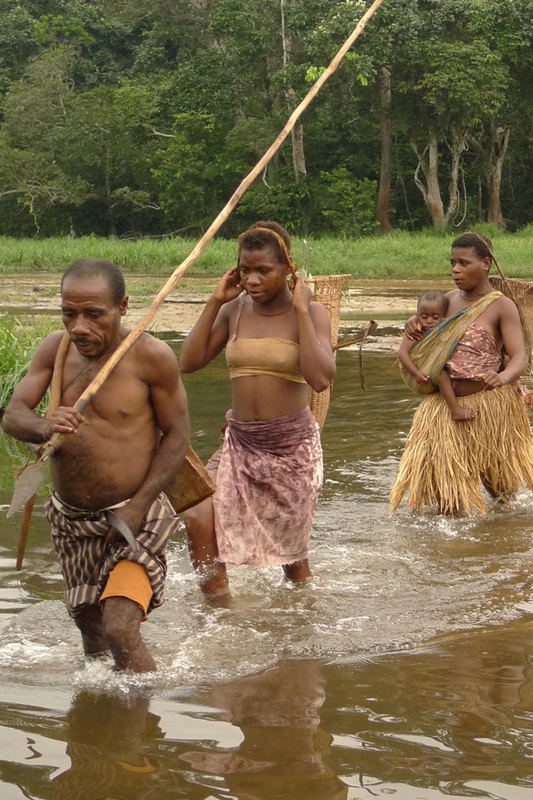 Bayaka Pygmy culture is anarchistic and non-materialist, almost opposite to ours, and yet the experience of hunter-gatherers still resonates with us, having been human's way of life for most of our history. I first met Louis Sarno 12 years ago, on whose life with the Bayaka the story is based. His selfeffacing humor and his experience with the Bayaka for 27 years made him the perfect anti-hero to take an audience into the forest and experience the magic world of the Bayaka. 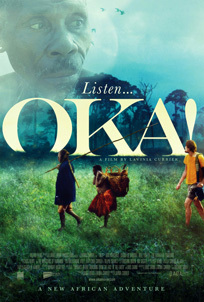 A scene from OKA! Directed by Lavinia Currier. Photo credit: Olivia Bruynoghe / Roland Films. All rights reserved. Kris Marshall as Larry Whitman in OKA! Directed by Lavinia Currier. Photo credit: Olivia Bruynoghe / Roland Films. All rights reserved.